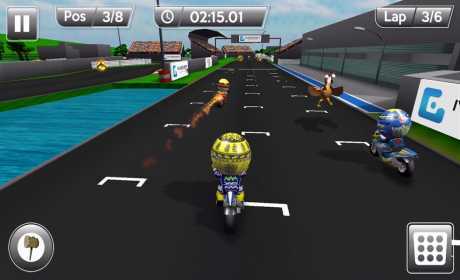 MiniBikers is the craziest race to reach your hands! The animated series that has captivated millions of people around the world has a new star: You! Create your own stories or change the racing rules and become a World Champion. If anything characterizes MiniBikers it is the unique competition style. Who said races are boring? Surprises await you at every turn with power-ups based on the popular animated series. Cause opponents to skid on butter, using the chicken of the ninth title as a personal weapon or simply electrocute opponents with the Thunder of Cervera. Enjoy three completely different game modes with Tournament Mode, in which the challenges make you prove yourself as a rider. 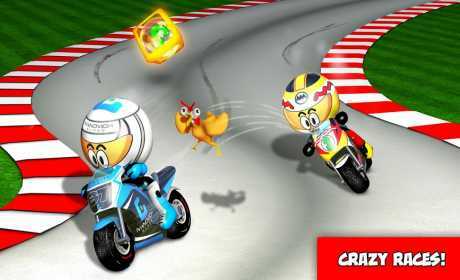 The seasonal mode allows you to race the entire 2015 Minibikers championship and become the World Champion. The online tournament will let you prove you’re the best rider of all in the weekly challenges against your friends around the world. In addition you can enjoy your favorite show and see all the chapters from the application itself. Race on the 34 most famous series tracks full of details and surprises that will leave you agape for the entire 2015 MiniBikers season. Will you dare defeat Minimaha with your favorite rider? Now you can do it! Change the story, and most of all…change the rules! You can also change the detail level. You’ll see everything! 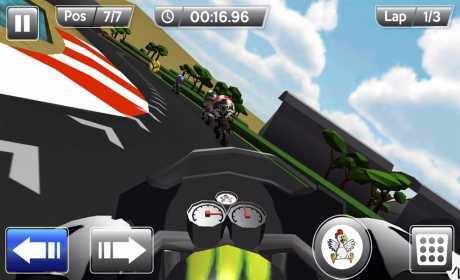 Realistic physics for the most demanding riders with arcade driving adapted for children. Everyone belongs in the MiniBikers game! But don’t forget to improve your bike if you want to stay on top and defeat your opponents. To make the most of your game we are offering it completely free with fully optional inApp purchases. Put on your helmet and step on the gas because the championship is starting now!